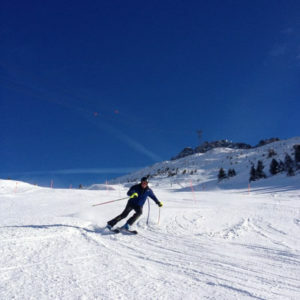 Professional privat Ski – and Telemark lessons in the Chamonix valley & Megève ski area from December until end of April. Learn from the Swiss Ex-world cup ski racer Ella Alpiger and her team. Everything about Chamonix ski resort is big. 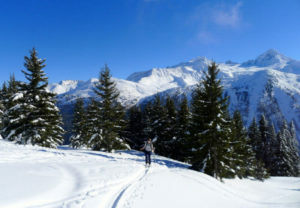 In the shadow of Mont Blanc, the deep valley has more skiable slopes than seems reasonable. With several ski areas distributed across the huge mountain ranges to north and south, a thriving town in the centre and smaller, charming mountain villages in the valley, there’s something for everyone. With the Mont Blanc as its backdrop, Megève ski area is in a lovely sunny setting and the village has a beautifully preserved, partly medieval centre. It’s the capital of the mountain way of life, an authentic village in the Savoy Alps that is covered by a carpet of snow every winter. 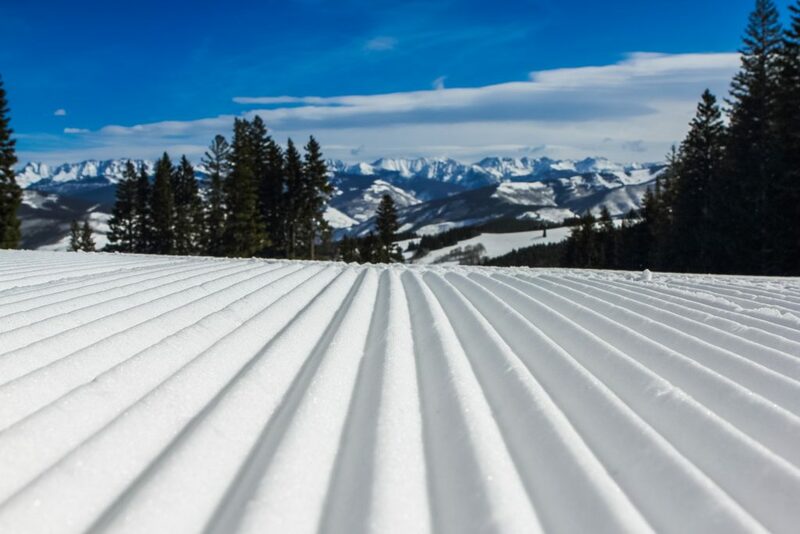 Many different slopes in all different colors and challenging Out-bound runs are waiting for you to be discovered. Beginners and Experts are welcome to join the lessons! 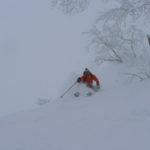 We will analyze your skiing on video camera. Fast technical progress and more enjoyable ski days are the result of that. Please consult fees for Megève ski area. With the Chamonix Unlimited Skipass (more than 3 days) we can also enjoy skiing in Courmayeur (ITA) 15 Min., Verbier (CH) 40 Min. and Evasion Mont Blanc (Megève, St.Gervais, Les Contamines) (FR) 20 Min. by car from Chamonix. 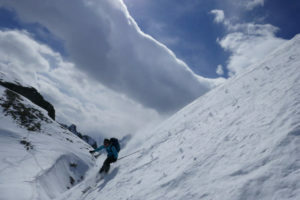 Chamonix also offers great ski touring options not only for Experts. Let us introduce you to our favorite sport with a Ski touring Intro. Learn all about safety, snow and technique with an UIAGM mountain guide. Explore the snow on the other side of the groomed run! If you have mastered the pistes and want to learn how to ski all trains off piste, come and sign up for our Off piste courses. We will teach you on all different slopes and terrains. 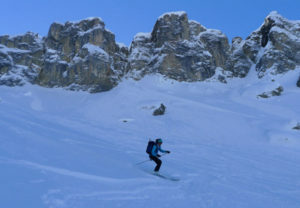 Let’s train to get you fit to take a ski trip down the Valle Blanche! Thanks to its exceptional geographical location between Italy and Switzerland, Chamonix is a major centre for Heliskiing from where you can reach a host of exciting destinations. 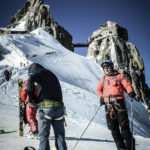 For a day trip, there’s nothing simpler than getting dropped off by helicopter in Switzerland or Italy with a UIAGM – mountain guide, to ski the finest transalpine slopes of Val Veny, Cervinia, La Tile and Val Grisanche. Also exploring the mountains of the Valais in the areas around Trient in Switzerland, or even Zermatt. 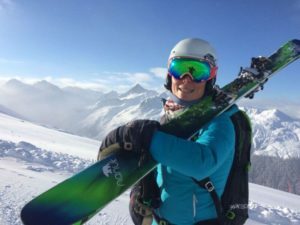 We proudly ski with K2 Skis, they offer a great range of skis and boots for all different kind of availabilities and snow conditions. Not sure which material to buy or rent? We are happy to recommend the perfect ski for you. Do you want to sleep in down town Chamonix or rather a bit outside in the quite or maybe ski in and ski out? Chamonix has it all, let us find the perfect place for you! 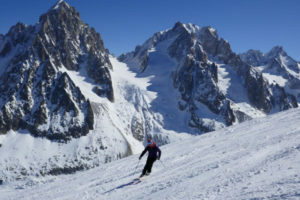 The Chamonix Valley is consistently rated as one of the top ten ski areas in the world. A must by all ski enthusiasts. The legendary skiing caters for every taste and ability. Some 90% of the ski area is above 2000m with an excellent snow record and a long season from December to May. It is the home of the legendary 23 kilometre Vallee Blanche and the Kandahar World Cup downhill runs. The lift pass which, covers 750km of pisted skiing includes the elegant resort of Courmayeur in Italy that is a short hop through the Mont-Blanc tunnel. The Chamonix Valley is approximately 20 kilometers long with the Aiguilles Rouges mountain range on the north side, and the Mont-Blanc mountain range on the south side, which includes Mont Blanc itself, the highest peak in the European Alps at 4808 meters.The highest lift in the valley is the Aiguille du Midi cablecar which brings you to anincredible 3842 meters elevation. The top station of the Aiguille De Midi cablecar has a spectacular panorama of Chamonix, the Mont Blanc and the Mer De Glace glacier. It’s the access point to high elevation glacier skiing the world famous Vallée Blanche. Majestic Mont-Blanc, one of the world’s natural wonders dominates the area. Chamonix is an ancient mountain town with a stylish atmosphere and a blend of French charm, varied skiing and modern facilities that few other alpine resorts can match. Our guests return time after time and always discover something new. The town of Chamonix with its pedestrianised cobbled streets and squares, beautiful buildings has an excellent choice of quality shops, cafes, bars, restaurants, and a Saturday market that should not be missed. Chamonix has an attractive, bustling old town centre. The smaller, quieter ski villages of Argentiere, Les Houches and Vallorcine offer a different style of resort life. 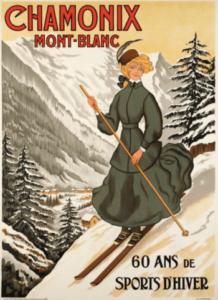 How skiing came to France; did you know? Skiing had come to Italy via Switzerland since about 1895. The natural thing for France would have been to copy the neighboring Italians. They went to the source instead, they wanted a missionary from Norway and in November 1902 one such providentially dropped in. A junior Norwegian army lieutenant called Herman Schultz that wanted to visit France as a ski instructor in order to get out into the wider world an learn French. Later two more officers where sent to France and they started a ski school to teach the French soldiers. Those soldiers showed a legendary marching ability and could accomplish to march up to 50 or 60 km a day on skis without really being worn out. They sometimes started at 4a.m. and didn’t return until 8p.m. I have just had 2 excellent ski lessons with Ella as part of a group of 3 in Chamonix. We were all confident to ski on green runs but needed to master the blue runs. Ella was extremely informative and quickly had us skiing down the blues with her expert tuition. She was very patient and provided lots of tips to make the transition easier. I’ve already planned to use Ella again next year and would definitely recommend her to teach at all levels. She looked after our family of five for three days and by the end of the three days, our three boys who were beginners could all ski well. She also helped my wife and I improve was really patient and understanding throughout. Many thanks again Ella, see you next year! Great skiing with you! See you next year again in Chamonix! Ella was brilliant and I cannot thank her enough. She managed to teach my 5 year old son, my wife and I skiing in 3 hours so that we were safe and have fun. She managed to teach my three year old the fun whizzing down the slopes with some adult assistance. Ella really was great as she taught us all together (quite a task!) and made it fun and informative. I would highly recommend Ella to anyone. Thank you so much and it was great to ski with all of you!! We’ve just returned from a fabulous week in Chamonix and were lucky enough to have Ella for 2 and a half days of tuition. She managed our family group of 4 with a mixed ability and age without any problems. Everyone was far more confident by the end of the lessons and her tips definitely helped my confidence in the lower light conditions. Her English language skills are absolutely first class. Would definitely recommend her and will use again next time we travel to Chamonix. Thank you all very much! Looking forward to ski with all of you again. Have a great spring and summer! My ski lesson with Ella was so valuable. She had very specific tips to help improve my skiing technique. Those tips work! I am enjoying skiing now more than I ever have before. I have better control of my speed and bumps aren’t as intimidating. I highly recommend Ella for your ski training. Thanks to you Lynn! My all times bump champion! My wife and I have just come back from a fabulous week in Chamonix Mont Blanc, which included a 3 hour on-piste lesson with Ella. 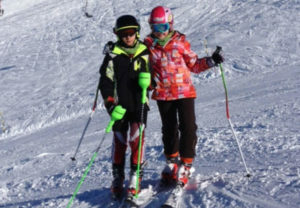 She quickly identified areas that were holding up our progress as intermediate skiers; by the end of the lesson we both felt more confident and able, and had big smiles which remained for the rest of the trip. We will be back with Patagonia Tip Top next year – possibly to try some ski touring for the first time. 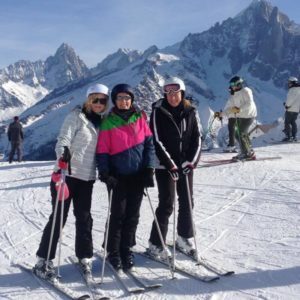 I went with my family to Chamonix, where we met Ella as our ski instructor. Everything was perfect, she is so friendly and attentive to each one needs of improvement. She is also a very nice person, very positive spirit! We got a lot of information about the places where we skied and the surroundings. Each day we tried different slopes, perfect for a holiday. Hope we shall meet her again when will be coming to Chamonix on our future holidays. Looking forward to ski with you 2 again in the future! All the best to the Rumanian – ski team ;-)!